Build in Kansas City Missouri and sold new at Mallone Chevrolet Company in Tonganoxie, Kansas. 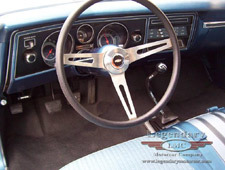 Lemans blue exterior with blue bench seat interior. Powered by a numbers matching L78 396/375hp engine, 4speed transmission and a "KF" positraction 3.55 rear axle. Options and accessories include domed hood, power disc brakes, sport wheels, chambered exhaust, smog, and more. 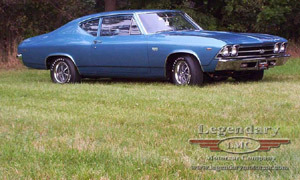 Only a handful of 1969 L78 Chevelle 300 Deluxe SS cars were ever produced, and this is one that has survived with only 31,000 original miles. 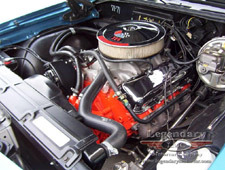 This car has benefited from a full complete frame-off nut and bolt restoration.